Assassin's Creed II is a big game. Big games need big teams, and developer Ubisoft has assembled just that: an army. According to producer Sebastien Puel, there are 450 people working on the the sequel, and 75 percent of the original team is working on the game. Just how much bigger is the AC 2 team? "The team's size for the second title of Assassin's Creed II is about three times the size of the team of the first game," said Puel. 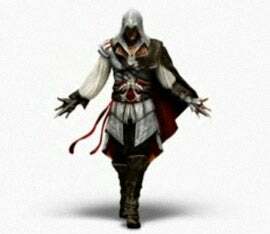 The producer went on to say that the team had "thousands of ideas" that were not used in the first game, but are finding their way into Assassin's Creed II. Hooray for hyperbole!